One could say salt-making runs in our blood. We are seventh-generation salt-makers, brother and sister Nancy Bruns and Lewis Payne. We share a common love of food, farming, and family. We have come together to revive our 200-year-old family trade in Malden, West Virginia, and once again produce salt for our local communities and beyond. With our love of the land and our shared culinary passion, we have worked to produce a rare, small-batch finishing salt, harvested from the ancient Iapetus Ocean trapped underneath the mountains of Appalachia. The result is a pure, delicious salt sure to transform any dish. Family gathering to celebrate the revival of salt on the family Farm. 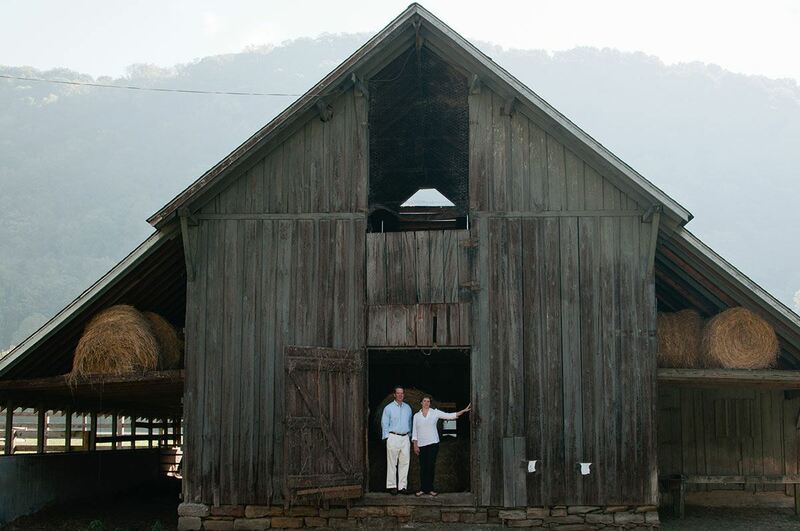 The history of Appalachian salt is deeply personal to our family. Our Dickinson ancestors first drilled for brine in 1817, using a hollowed-out tree trunk for piping, and established our family farm along the Kanawha River a few years after. By the 1850s, there were hundreds of wells along the river producing more than three million bushels of salt per year, making the Kanawha Valley the largest salt producing region of the United States. In 1851, “The Great Kanawha Salt” was awarded “The Best Salt in The World” at the World’s Fair in London. Today, we are reviving our family’s salt-making tradition on the very same land where it all began. 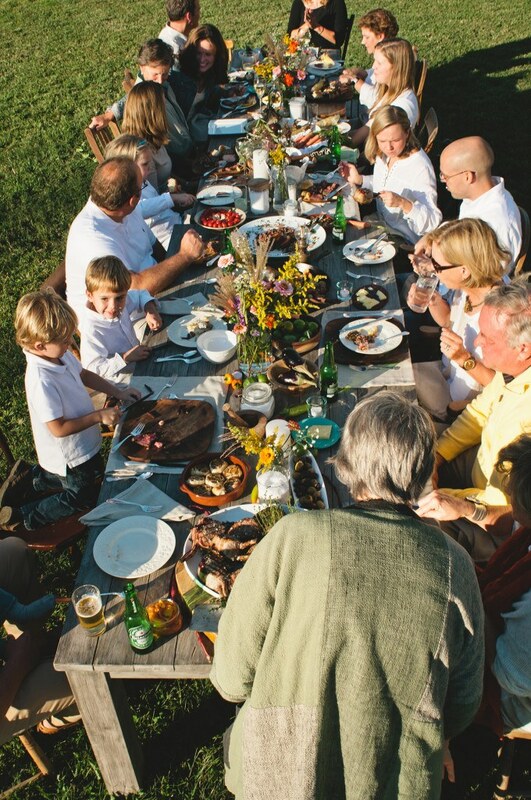 To celebrate, we invited family members from across the region to a feast beside our long standing barn; the meal showcased our newly harvested salt, and our strong commitment to a farm-to-table lifestyle. The salt imbued nearly every dish on the menu, from the pork chops and bread, to the local squash from the farmer’s market and sweet pecan pies. Learn how to make one of our favorite dishes of that special evening in our collection of recipes. We believe in pure, sustainable food and living. Our salt is completely natural and contains many minerals. We are family owned, and we believe that treating the earth and our environment with care will allow our family and yours to live off the land for many years to come. We use the power of Mother Nature to produce our salt, and are always looking for ways to reduce our carbon footprint. We are passionate about our local community of Kanawha County, West Virginia, and will continue to work to support the initiative to encourage West Virginians to eat healthier. Awareness of the land and where our food is sourced is deeply connected to a healthy community. We donate profits from our farm-to-table event series “Celebrating the Season” to organizations that help this cause. You can read more about the health benefits of eating unrefined salt at Health Radar and Splendid Table. A small sampling of the Dickinson family gathering to support the local business.